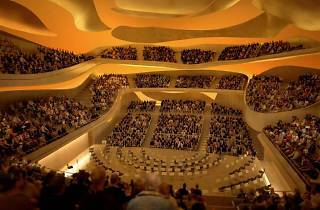 Paris’s new Philharmonie opened its doors on January 14 and it started with a bang. The city’s culture vultures have been waiting for this moment for close to four decades and haven't been disappointed by the venue's ecclectic line up of concerts and events. Situated in a working-class corner of north-east Paris by Porte de Pantin, the extravagant new venue aims to democratise classical music, drawing in newbies as well as concert hall veterans. Tickets are priced competitively, undercutting the costly Salle Pleyel. At a time when cultural activities are getting ever pricier, the Philharmonie hopes to counter the trend much as the Opéra Bastille did for opera. 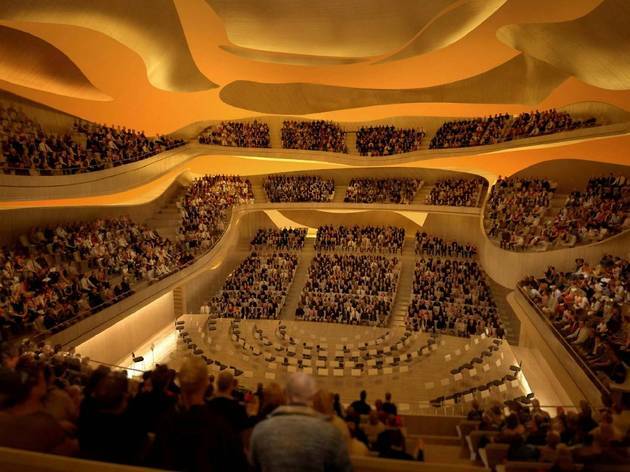 With a budget that tripled over the course of the project, the Philharmonie is just one of the big cultural controversies of recent months, which have also seen the expensive renovation of the Picasso museum and the building of the extravagant Fondation Louis Vuitton. Yet hopes are running high for the venue, whose construction was overseen by French super-composer Pierre Boulez: as well as the aesthetically impressive 2,400-seat concert hall (laid out such that no audience member is sat more than 38 metres from the conductor), it includes a cavernous exhibition space and a vast educational centre. Partnered with the Cité de la musique, the Philharmonie already has an impressively eclectic lineup booked for its opening months: a live appearance by Tindersticks, a screening of ‘2001: A Space Odyssey’ accompanied by a live orchestraand and the much-anticipated David Bowie Is exhibition that starts on March 2. We’re psyched.